Are you looking for some phone interview tips to increase the chance of securing a second interview, probably an in-person formal meeting? Even though a phone interview may seem more comfortable than a regular discussion on the surface, it can be a bit harder. A phone interview can happen when you least expect it, or it can be scheduled. Make sure you have your resume and cover letter beside your phone. Project your personality without having the advantage of face-to-face contact. You must rely solely on your voice to make a connection with your interviewer. Make sure you are in a quiet place away from people, TV, pets, etc. Get a sitter for your dog during your interview to ensure you are not interrupted by barking. Remaining 100% focused on your job interview is critical. Turn off your “call waiting” if you can; you don’t want to get a beep in the middle of your conversation. Eliminating all distraction is one of the most critical phone interview tips to follow. If you are distracted during the interview, you will lose your concentration and confidence. Allow your voice to share enthusiastic and make you sound warm and friendly. Convey to the interviewer that you are an upbeat and outgoing person. Usually, you will ask a set of scripted questions in a phone interview, try to tailor your response to what the company is seeking from a person in the position. Show how your set of skills and professional experiences will benefit the position available. Researching the company in-depth will help you to find out as much about it as possible. Over the phone, this may seem complicated, but it’s necessary to make a lasting impression. You are trying to market yourself to the company’s hiring representatives. With this in mind, try to talk about how your skill set, unique selling point, past success, and personality will fit into the company’s goals and culture. Attempt to change the tone of the interview from a question-answer situation to an open discussion interview. During this type of interview meeting, you will discuss the present conditions of the organization and what you can bring to the table to improve things. Express your interest in the position and ask what the next step is in the hiring process. Let the interviewer know you would enjoy continuing the conversation to get to know more about the position and the company. Also, they can get to know you better, and the value you could bring to the position and their company culture. 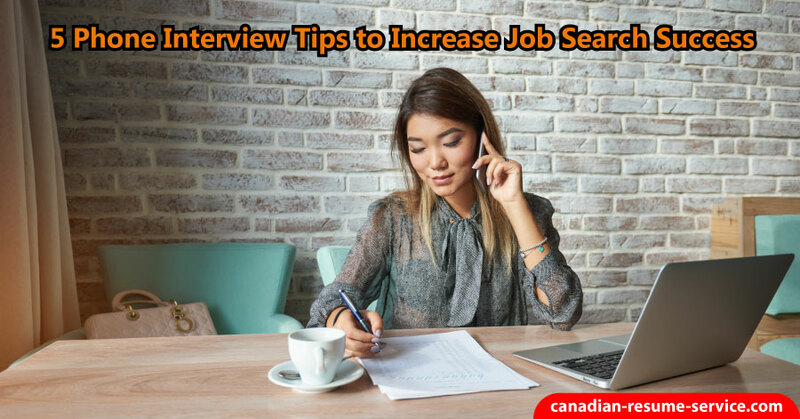 If you follow these phone interview steps, you will successfully set yourself apart from the other prospective candidates. Need additional job search help? Reach out to Candace via phone at 1 877 738-8052 or email to learn more! Please review our resume writing and interview coaching services.